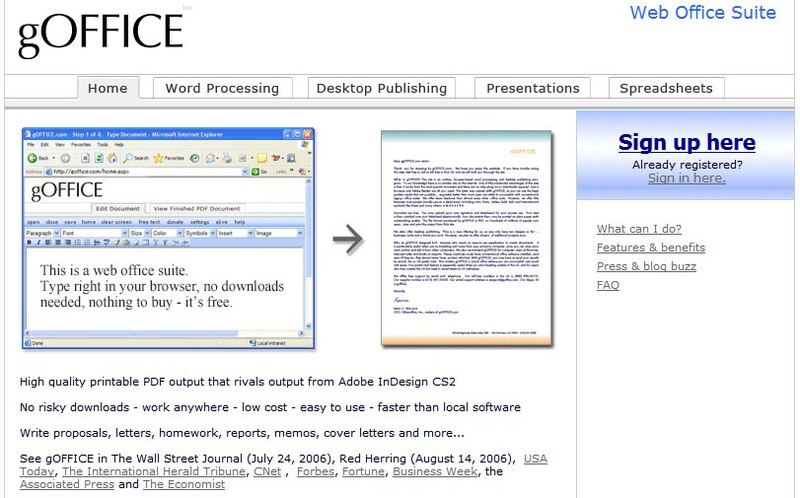 September 23, 2006 By John P.
There is a new breed of online service providers all trying to gain position as the office document system of choice. Big players like Google and Microsoft have already announced their intentions, and small upstarts such as ThinkFree and Zoho have also thrown their hat in the ring. I previously posted my review of Zoho.com so I won’t duplicate that work here. However, here is some information regarding other online services. Google’s first entry into the online office application space is Google Spreadsheet. It works just fine… Their word processing application, Writely – which they acquired earlier this year, is one of the first and most popular. I’m unaware of any presentation software, and they’ve got a ways to go in order to integrate the various services (they don’t even mention one another). ThinkFree.com offers an online office suite which includes word processing, spreadsheet and presentation applications. They give 1GB of online storage space and although the service offerings seem to work, there are serious issues with the interface. The fonts are too small, and a fixed size, in addition to being difficult colors for some. The applications also launch into separate windows (even when you don’t want them to) and require installation of a Java applet. All in all, not my favorite service. gOFFICE offers a complete Web Office suite, but they want to charge $1 per month and don’t even give you any sort of information about what you’ll be getting in advance. I predict this is model is doomed to failure. 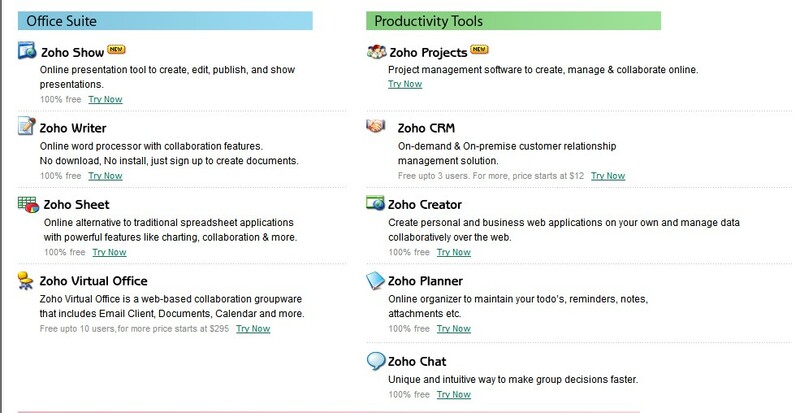 Other spreadsheet offerings online include: NumSum, iRows, and JotSpot Spreadsheets although I don’t know why anyone would use them given the fact that Zoho and Google Spreadsheet work great and Zoho is a more integrated offering, and Google will likely rule the world in this arena one day. In summary, I still prefer the Zoho office suite, but it will be interesting to see what happens when Google finally decides to make a serious move towards owning this market.